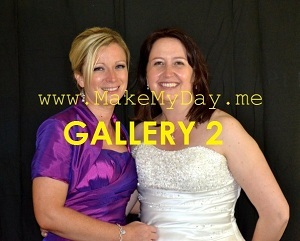 Event photography and mini studio (below galleries) is for fun pictures at parties only! Suiting your needs is first priority when setting the scene and shooting the photos. Careful preparation & time is spent when working with pictures which you as the customer can choose. Once your happy with your best portrait shots these can be made available to you printed and framed on the same day (free picture disc includes all shots). Currently this option is available to anyone who has asked Make May Day Fun Photo Studio to shoot pictures at their event. 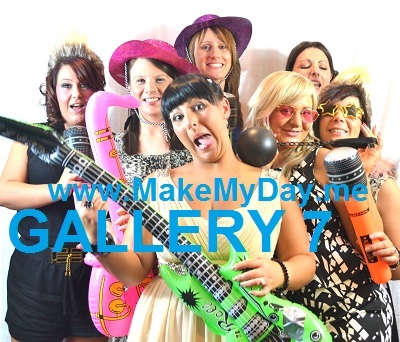 If you would like the Make My Day team to visit your event this must be *requested. Booking Make My Day for your event is £95. only when booking any party with Disco NI ~ This offer is for a limited time only! Had your picture taken at one of our parties? Now with FREE delivery you can request to have a picture(s) from EVENT GALLERIES delivered to your address (framed or unframed). Printed pictures are of a *high quality *don't include watermark & come with a *high quality card frame (optional £1.50).